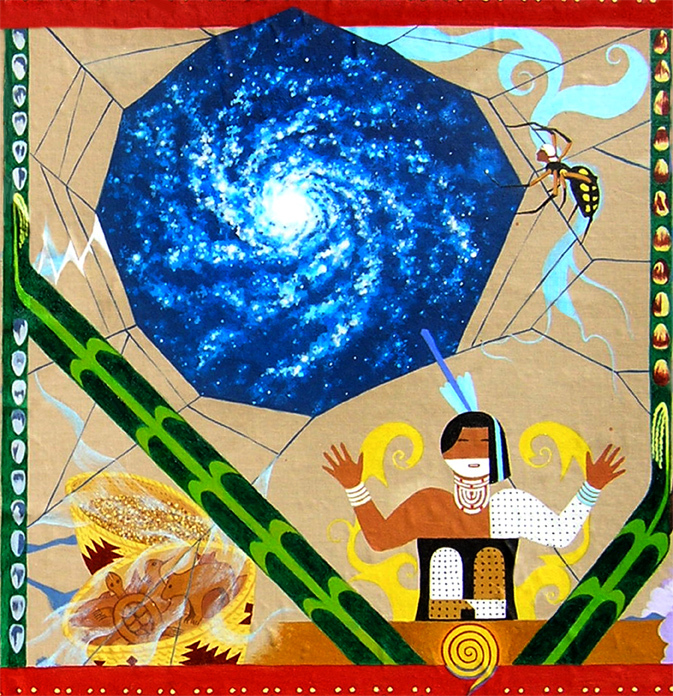 Creation stories of Arizona and New Mexico praise Spider Grandmother or Spider Woman. into being through the power of her mind. who chanted the creation song over the Earth’s twin poles, setting in order stability and circulation. and inspirited them with her chant.